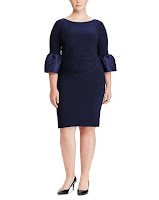 Ralph Lauren has a range of beautiful clothes aimed at the curvy lady, sized from 18 to 28 the range covers smart tailoring to exquisite dresses. So take your pick from great fitting jeans to that dress which will turn heads at your family special occasion. 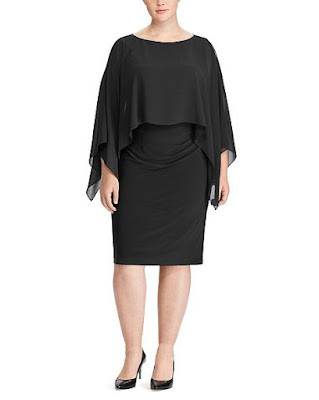 Endlessly flattering, this cocktail dress combines a stretch jersey body with a slightly sheer crepe overlay to ensure your entrances and exits are equally alluring. The soft feel and natural stretch of a sweater meets the structured look of a blazer in this slim nautical-stripe jacket. 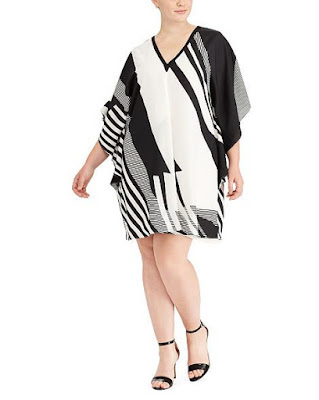 The season's bold stripes bring graphic impact to this lightweight crepe shift dress. 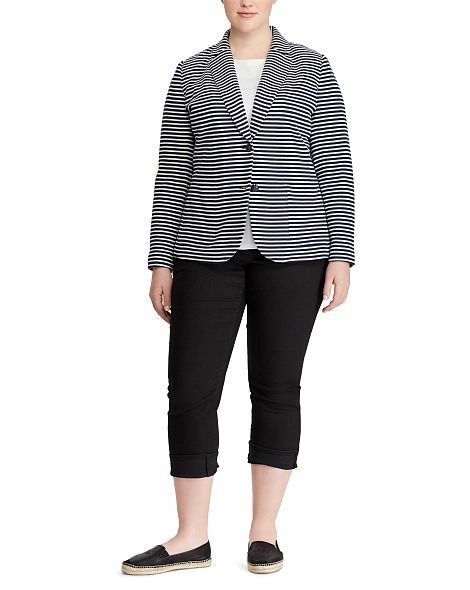 Switch up your shoes to take this piece from morning meetings to evening cocktails. Juxtaposing a sleek fit with voluminous taffeta cuffs, this stretch jersey dress will instantly elevate your desk-to-dinner look. A graphic palette and bold florals define the modern femininity of this flattering stretch jersey dress. 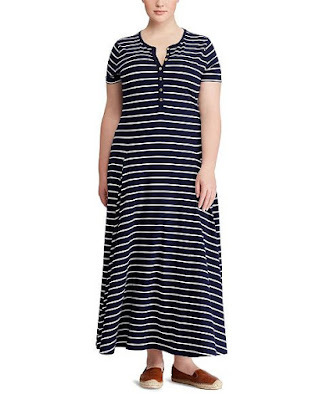 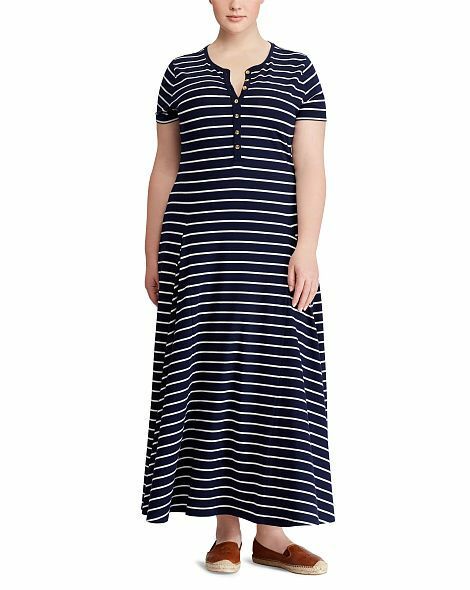 A sweeping fit-and-flare silhouette and nautical stripes define this maxidress's effortless chic. 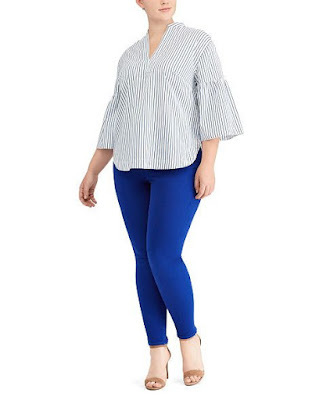 Part of Lauren's superstretch collection, these high-rise skinny jeans are engineered from shape-memory denim for a sleek silhouette wear after wear, while slimming interior panels lift and sculpt. 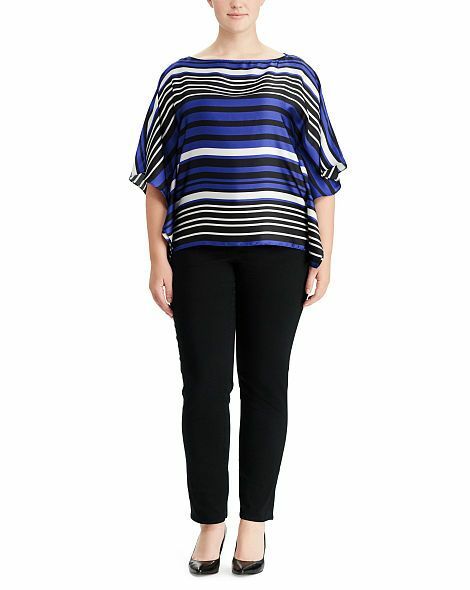 Bring chic dimension to your look with this drapey satin blouse featuring the season's vibrant stripes.